Comic Collector Live is a software product that is FREE to our users and has a 468 x 60 pixel, high visibility media viewer on the top of the software. It is unobtrusive for the user, yet highly visible for the marketer. 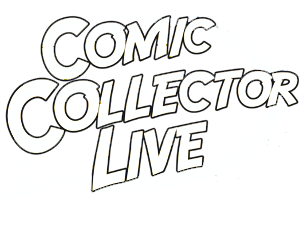 Comic Collector Live is a great place to market your products and services. Comic Book collectors provide some of the best marketing demographics for most major brands, and produce some of the best ROI of all media outlets. The average age of a comic book reader is between 18 and 34. Their average income is $71,200 and 80% of them are college educated. This market is far more than just a kids market. Ad sales revenue in the comic book market grew over 25% from 2004 to 2005. It continues to gain market share, and is fast becoming a viable outlet for major brand products and services. If you are interested in marketing to our huge user base through our direct to desktop, high visibility media ad viewer which is built into our product, please contact our sales department. Simply contact one of our Sales Executives today. We'll make sure that your advertisement is seen!